For over 15 years now, the Schkopi.com website has been trying to bring together « Prince and the Minneapolis Sound » fans. When we started, this site was a home page. The « home page » was the early net blog. While the web was still in its infancy, the first Internet Service Providers allowed their subscribers to create their site. At the time, there were no flash, no video, just the possibility to put some colors in the text, and include photos. So, I started by talking about my passions – cinema, music, PRINCE, and many other things. With the help of JMS (co-founder of Black Camille, the first real French fan club, and most of all my longtime friend), we developed over time a better-looking graphic design – identity – and especially we organized various events to bring together fans and try to create a supportive community, animated by the same passion for music. 1994 : Broadcast of The Beautiful Experience and Come release party, in a Rue Quincampoix club. 1995/96 : Prince started to shout about his desire to be free and to offer his music via the net. There was a first attempt with Slave and New World broadcast on his website way before the Emancipation release. We then organized a series of parties at Lili La Tigresse, Paris to inform fans (then very few connected to the internet) of Princely online activities, and broadcast exclusive tracks. It was also at this time that we organized a special listening party for Chaos and Disorder, a few days before its release. The need to exchange about this passion grew, and that’s when the PABW list (mailing list) took off. Fans discussed, shared, argued … but the number of subscribers kept growing, and especially the number of messages, sometimes reaching over 900 emails sent per month. There were many other parties, the domain name Schkopi.com became a trade name, and the site refocused on Minneapolis, Prince, and especially « the fans ». 1999 : first party at the Charly’s Bar in the St Michel Parisian area, the first of many to be thrown there. Screening of concerts, then rare or unreleased, like a live at Paisley Park with Miles Davis or « The Beautiful Strange« . It was also at that time the Canal Plus team trusted us and gave us several tickets to see Prince at the « Nulle Part Ailleurs » TV show. Thus, you can find more than one Schkopi member alongside Prince during his memorable Alphabet Street performance. A first forum draft appeared, as well as a chat, and the community really started up. Thus, thanks to a member of the site, we were able to project the « Rave UN2 the Year 2000 » concert, less than 15 days after its USA broadcast on TV. July 2000 : New live experience with the Peace and B Wild Band … none other than the gathering of Juan Rozoff and Leslee from Furious Jam. 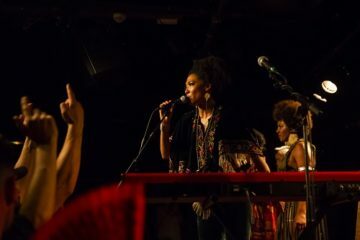 It happened on a barge in Paris, the Boer 2, the group set fire, with scorching versions of Head, Party Up … etc. May 2001: Dirty Mind rocked the MCM Café for a NPG PARTY, which lasted late into the night. « Princely » Schkopi community became stronger and more alive. October 2001: Prince decided to broadcast The Rainbow Children on the net. But, the server did not follow, and many French fans were unable to download the record on D-Day. Because of the effectiveness and generosity of a forum member, very well equipped at that time, we have been able to arrange a listening party that very evening. February 2002 : First meeting between fans and a Prince-related musician. 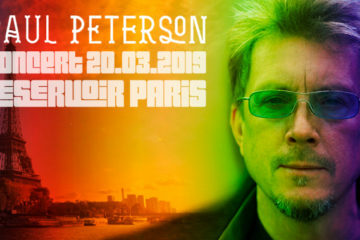 St Paul Peterson accepted our invitation in a huge loft in Paris, and the people present still remember it. June 2002 : Prince organized the 3rd Celebration at Paisley Park, and many French fans went there. JMS made « passes » customized after each evening guest artist. Fans were then able to recognize and find each other. October 2002 : Prince finally came to perform at the Zenith venue in Paris. The day before, we organized a big party in Paris at the Reservoir club, where we had already been a couple of times. But, with this NPG PARTY, this club had become our favorite place. 2003 : Dominik et son hybridoscope was back from the USA. 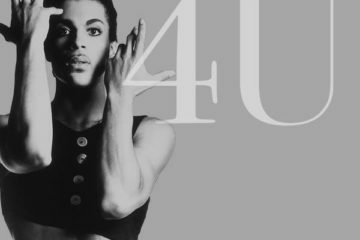 Before presenting his own songs, Dom gave us probably one of the most daring « Tribute 2 Prince », which featured tracks from the NPG MC, or ones rarely performed by Prince himself. These parties were free, present fans set fire, and in April he returned for a concert, where would be recorded his Extra Loveable version, especially made for Schkopi members. The same year, on JPWeb’s initiative, the first compilation bringing together musicians forum members was released. Superfunkycalifragischkopi, a code name chosen by fans, was a success, and once again the community showed, because of its passion, the result was always surprising. July 2003: This party would make a deep impression on its participants and especially on me. On very active forum members initiative, members decided to celebrate my 30th birthday and give me a big surprise. It was a free party, which went from noon to midnight and presented itself as a mini festival, where all the musicians present on Schkopi.com could come and play. I invite you to watch the videos and photos in the NPG PARTY section. In addition to the generosity of all artists, I received beautiful messages from forum members. I then realized the forum was more than just a place of information for many. 2004 : Live music was increasingly present in parties … Judge for yourself – Dood, Dom Rozoff … on the same night … fantastic. That same year, Opus asked us to join two magnificent concerts organized by a young French production company, that’s how NPG PARTIES were found associated with the Slapbak and Rashaan Patterson concerts. 2005 : New artists trusted us, and it was Jacques Daoud‘s turn to join the list of talented musicians who participated in the NPG PARTIES. Thanks to your enthusiasm, your passion, and the great atmosphere you put in parties; in Minneapolis, people heard of NPG PARTIES. Kip Blackshire, who toured with Prince a few years earlier, asked us if he could come and present his solo work to the Parisian public. We were touched, and you gave him the warmest welcome in March 2005. December 2005 : With the help of Groove Production, Schkopi members were given priority to enter the Candy Dulfer concert to meet the artist. 2006 : Enthused by his first concert here, Kip Blackshire came back in March 2006. During the party, we also presented a preview of a few 3121tracks. July 2007 : Planet Earth presentation, on the eve of its release, at Parisian Les Quatre Vents club. September 2007 : A dream came true. Mint Condition performed at the Opus club, and their tour organizer agreed we could be associated with the event, by throwing a NPG PARTY right after it. 2008 : The second volume of Superfunkycalifragischkopi was posted on the forum. JMS produced a sleeve per week, and the covers quality was just amazing. Accompanied by Rad, who toured with Prince in the U.S., the singer/pianist was overwhelmed by your warmth and your good vibes. She asked us a few months later if it was possible to repeat the experience with her as headliner. Finally, through the organizers, Schkopi members were able to meet Rhonda Smith at the end of her solo concert in Bobigny. March 2009 : Rad offered a very funky and energetic concert, with Eric Leeds and Greg Boyer on the brass. June 2009 : Paul Peterson was in Paris, and remembered his meeting with the fans. We organized another one at Les Quatre Vents club. You were many to come. The artist was very much available either in his dialogue with the fans, or at the end of the party with a few diehards stayed to listen to his many anecdotes. But above all, Mr St Paul gave us a wonderful gift – a preview listening of demo tapes of the next The Family album, still not out yet. Prince performed in Montreux then in Monaco, the forum enabled to help dozens and dozens of members to go there, find accommodations and even purchase tickets. The generosity of fans continued to help us in our initiative. The arrival of MRN, manager of the Inedit Café restaurant, on the forum was an important date. He gave us a warm welcome, and even created the « Schkopi menu » for our gathering nights. The forum has now its own canteen. And a warm welcome is always given to Prince fans. October 2009 : Prince was in Paris. On that occasion, hundreds of fans, who interacted on the forum and finally wanted to find another, accepted to wear the « Schkopi Pass ». Seeing all these people with this rallying sign was a very emotional moment for us. Special mentions to those who succeeded in showing it during the various JT features covering the event. 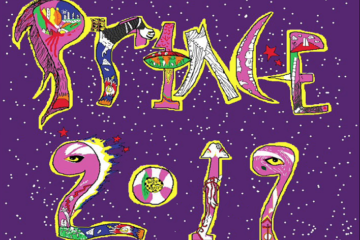 Thanks to the site and « Laurent Calhoun », several forum members were able to attend the Prince performance at the French Grand Journal TV show. Today, even if the forum is often criticized, bullied, or disparaged, it is nevertheless a real success. We owe this success to the fans and members that connect, participate and read every day the dozens of posts. See no demagogy, we are sincerely thankful to all members who come and post information way before official channels, those who comment on Princely news, and those that stirred us by sharing their stories. Since it is time to say ‘thank you’, it is also imperative to congratulate the entire moderation team, past and present. All these people who gave time and energy to make this forum what it is. I frequently hear that the forum is too this or too that. But this forum is yours and you can model it as such. I hope that elder members will tolerate a little more the new ones, the new ones will bring their freshness to us, and the silent ones will finally dare to speak. It is very important ! The future : we’ll work on it .. Together. With this new forum version, the arrival of Superfunkycalifragisexy 3, many events and meetings, and other surprises. Moreover, it seems that Prince has decided to spend time in Europe in the months to come, for our greatest happiness. The Prince fan community is getting smaller. The elders no longer have the same passion, the youngest have little interest in our idol. More than ever we need to help each other, to bind together, and act as one to show the artist staff that French fans are involved and active. Unity is strength.